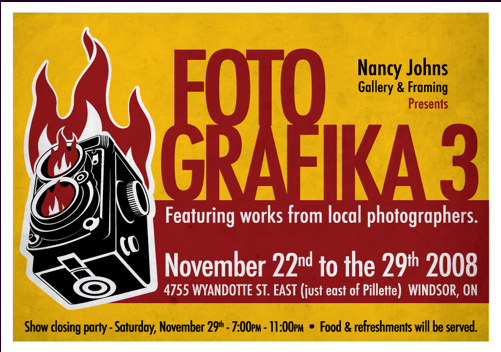 Nancy Johns Gallery has a big photo show happening at her place on Wyandotte St. East in Riverside. Lots of Phog familiars and some Unfamiliars are showing their incredible photo talent in her gallery from November 22nd to November 29th. The 29th is the closing reception party, which is always a busy and delightful night where you’re bound to meet new people who are fans of some of the same things you’re in to. If you have not been to the gallery, get a clue and head in there any time her building is in operation. It’s an ideal space (huge) and warming to anyone who likes friendly art-houses. There’s a lot to buy at this show, and it’s a no-brainer for Christmas gifts, especially because the prices are extremely reasonable. As for the second show worth patronizing, it is The Art Dump happening at Milk Coffee Bar. 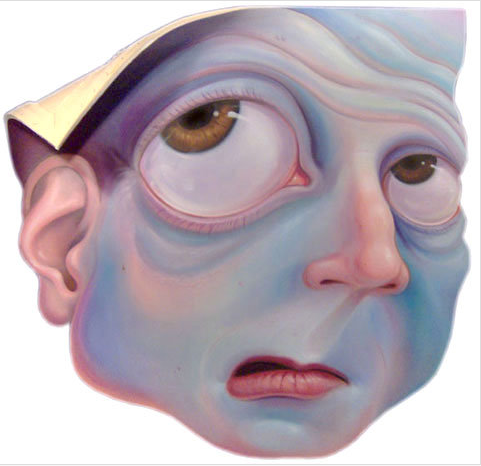 The work is done by co-creator of Freak Show, Stephen Gibb. His art is straight-up amazing. Every time I see his stuff I’m dumbfounded as to how he can be so prolific in a style that seems impossible to me. He’s talented, is what I’m getting at. Prices are low, as he is “dumping” the art from his attic. He feels that it is better served on someone’s wall than stuck in a room with other paintings. Go see. This entry was posted in Uncategorized and tagged cafe, canada, detroit, entertainment, events, indie, live music, lounge, nancy johns gallery, ontario, phog, venue, windsor. Bookmark the permalink. Brilliant peice. The colours are rich and electrifying. Emotion is strong. Thanks for sharing.